The Heavy Blinkers - The Night And I Are Still So Young. 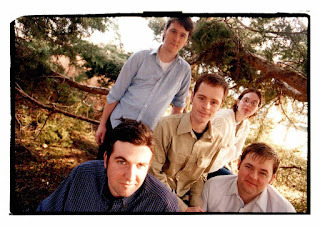 Background - Canada's Label Obscura is proud to announce the upcoming reissue of one of the best independent pop albums of the early 2000s - 'The Night And I Are Still So Young' by The Heavy Blinkers. This is the first time this classic album will be released on vinyl. 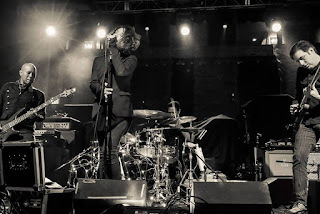 Described by Spin magazine as "one of the greatest bands you've (probably) never heard", The Heavy Blinkers is a five-piece formed in 1998 by Jason Michael MacIsaac and a group of friends, including keyboardist and songwriter Andrew Watt and ethereal vocalist Ruth Minnikin. They are based out of Halifax, Nova Scotia. Ben Bostick - The Juggler. 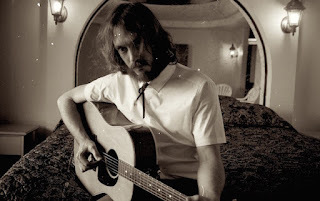 Background - Ben Bostick is a Carolina-raised, California-based outsider country songwriter, musician, and busker. His influences range from Johnny Cash and Bruce Springsteen to Waylon Jennings and The Band. “A little bit outlaw, a lot of heart, and all authentic country” (Smalands Country Club). Ben Bostick’s debut album has been a long time coming for this 33-year-old. Although his love of music and songwriting started in his early teens, the prospect of making a living from his passion seemed both impossible and sacrilegious. Having grown up off the beaten path in South Carolina, he’d never met a professional musician—plus the thought of desecrating music with money and ambition made him uneasy. Astari Nite - The Girl Who Tried. Background - Astari Nite have released "The Girl Who Tried", the second single from the "Dreams of Majesty" EP out via Cleopatra Records (U.S.) and Danse Macabre Records (Europe). 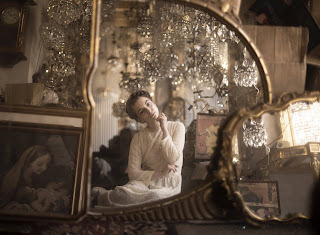 “The Girl Who Tried” is an instant flashback in time, to the late 80’s, early 90’s dark and goth clubs of London and New York. The track is brimming with with the sounds of synths, backed by a steady, upbeat bass and drum line. While the music of the single is ready to take the dance floors of the world by storm, vocalist Mychael Ghost’s lyrics float eerily over the track, letting the music guide your body while the words speak to the soul. "The Girl Who Tried" is a track heavily inspired by the New Wave dance movement, it's sound being noticeably influenced by acts such as Depeche Mode and New Order. Background - British-born, French-raised and London-based, Hero Fisher (yes, that’s her real name) is returning to release her sophomore LP Glue Moon. 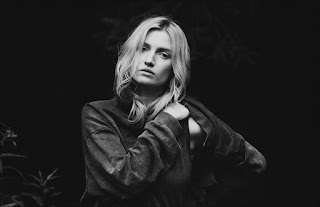 Hero’s career has so far seen her collaborate with Alison Mosshart and Boy George in the Mark Ronson-scored ballet Carbon Life, open for The Rolling Stones and Neil Young at Hyde Park, and got shortlisted for the 2014 Glastonbury Emerging Talent Prize. In 2015 she released her debut album, the critically-appraised Delivery which won her fans in The Horrors and Blur. 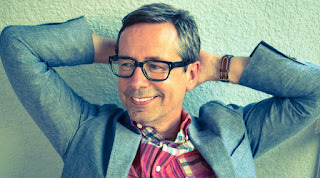 Background - Nick Heyward has unveiled his first single in eighteen years, the double A-side ‘Mountaintop’ and ‘Baby Blue Sky’, released via Gladsome Hawk. The single is first offering from his eagerly anticipated solo album ‘Woodland Echoes’, due for release on 4th August. A-side ‘Mountaintop’ is inspired by a poignant mountaintop scene in Sam Wood’s 1939 film ‘Goodbye, Mr Chips’, but was written at sea-level and infused with his love for the rootsy sound of Americana. While on the flip side ‘Baby Blue Sky’ The infectiously sunshine-infused 'Baby Blue Sky' is inspired by living and recording on a houseboat in Key West. Featuring ABC guitarist Matt Backer on guitars. Nick describes working with him as a chance to "express their mutual love of the Rubinoos, Big Star and 70’s guitar power pop." Sarah P. - Summer Prince. Background - Berlin-based solo artist Sarah P. just released a dreamy video for "Summer Prince" following her solo debut album Who Am I. Sarah P. states, "Today I’m sharing with you a very special video for “Summer Prince” from my recently released debut album Who Am I. It’s very candid, like the song itself – very spontaneous, summery and Greek, if you please. It’s filmed in Marathon and features me… basically, being me. I hope that you’ll enjoy watching/listening it and I wish for all of you to get the chance to visit the sea this summer." In contrast to all those amazing, big productions that come out every day, we went for spontaneity and let the scenery speak for itself. “Summer Prince” is inspired by summer holidays with my parents, while road tripping across Greece (through Crete, especially), seeing the landscapes changing and waiting for the moment I would sneak a peak of the sea – the place where I wanted to be the most.